In 1973, Frisselle decided to move up to professional racing with the IMSA Series, in the GT class. 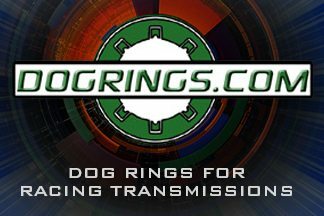 Since he had built a relationship with Datsun, he decided to look for a 240Z to buy and rebuild. 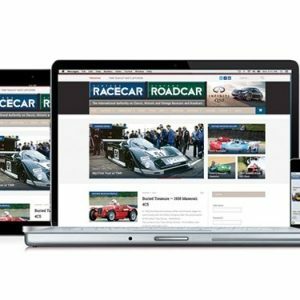 He found a very early car owned by another Datsun racer and Datsun dealer, Jack Scoville, then hired several of the ex-Brock Racing Enterprises (BRE) team to begin the conversion into an IMSA GT class car. The nose of the 240Z dives as Frisselle brakes for an upcoming turn during the May 1975 running of the IMSA GTU race. Frisselle would finish 14th overall and 2nd in class. 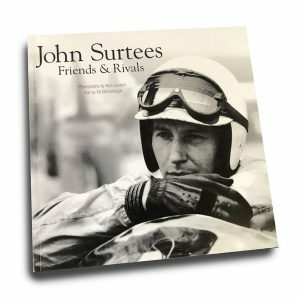 The former BRE crew chief, Joe Cavaglieri, was chosen to lead the team comprised of John Knepp, Don Reynolds, Trevor Harris, Mac Tilton, Dave Kent and Yoshi Suzuka. 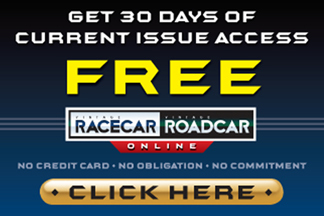 The car was stripped to bare metal and totally rebuilt from the ground up with all new components to meet the IMSA GT class specifications.New molds for the body were created and new panels made and fitted to the car, while the engine was completely rebuilt.The car was painted in a very striking yellow and orange color scheme to complete the essentially new racecar. 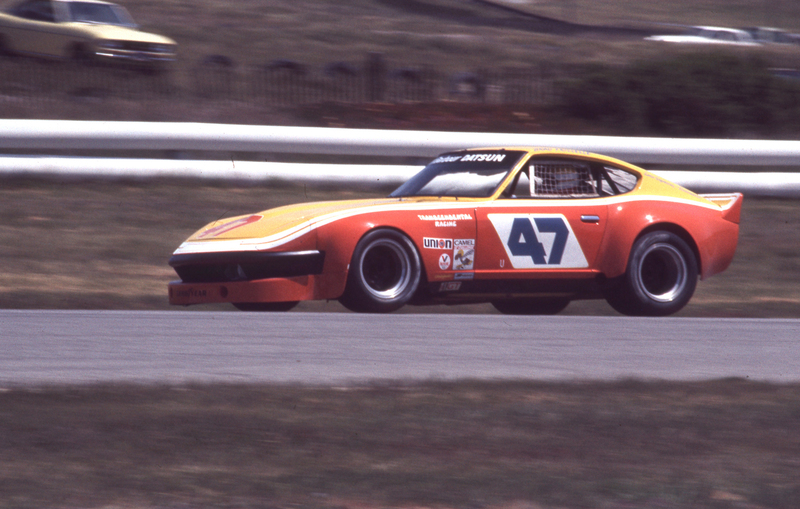 It took the team 10 months to completely rebuild, modify and update the 240Z and when ready, in 1974, Frisselle raced in two IMSA events at Charlotte and Lime Rock.Finishing 30th and 11th against Porches, Corvettes, Mustangs and Camaros, he decided to move to the smaller engine GTU class for the following season. With a partial sponsorship from the Transcendental Meditation Movement popular in the 1960s and 1970s, it’s appropriate the words “What’s it all mean?” are written on the rear spoiler of Frisselle’s 240Z. 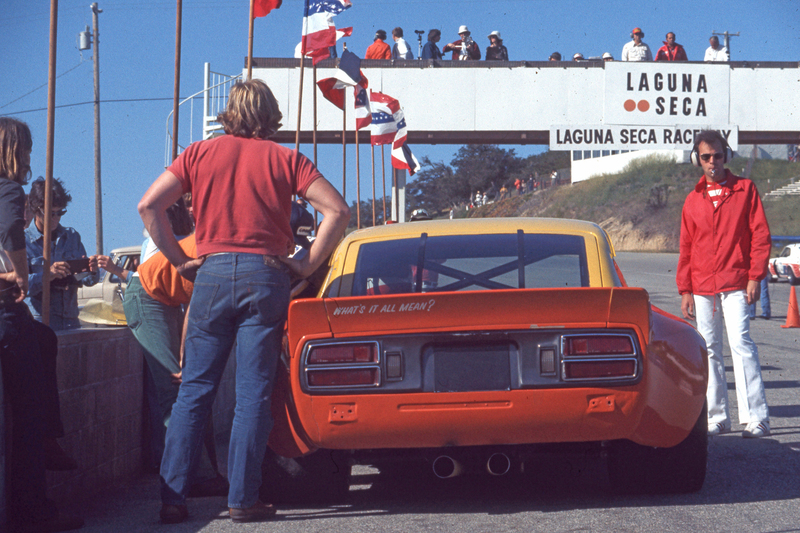 Laguna Seca, May 1976. The 1975 season provided a better opportunity to show Frisselle’s ability and the 240Z’s capability, as this combination won three of the five races entered and placed second twice earning him the “Most Improved Driver”of the year award. 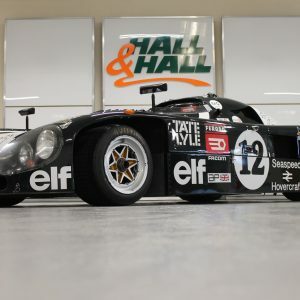 The driver, car and team really came together in 1976 winning eight races in 12starts, to claim the class title as a privateer and beat the factory team in the process. Peter Gregg ( no. 59 BMW) , Jim Busby (no. 61 Porsche), Al Holbert (no. 14 Monza), George Dyer (no. 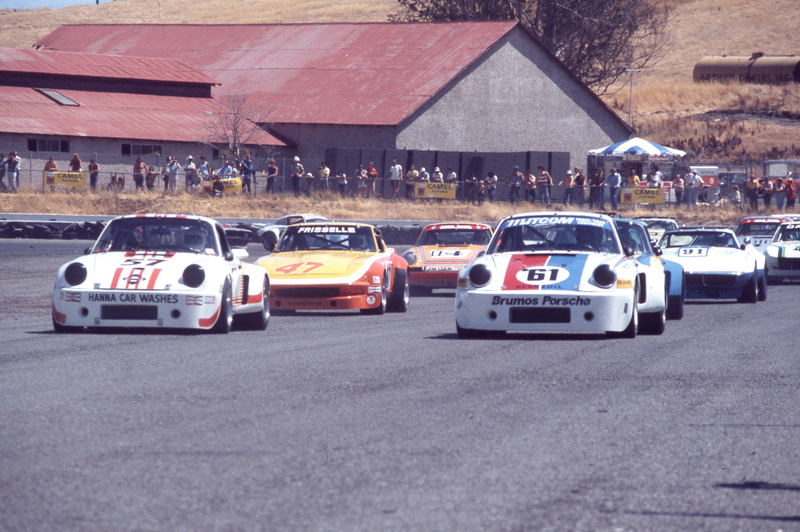 30 Porsche) lead the pack through the esses at Sears Point, in July 1976. Frisselle is on the fourth row and would finish 9th overall and 2nd in GTU. The 1976 success was due to a combination of factors including, Frisselle’s driving, the excellent engineering and car preparation, plus the overall professional approach of the team. 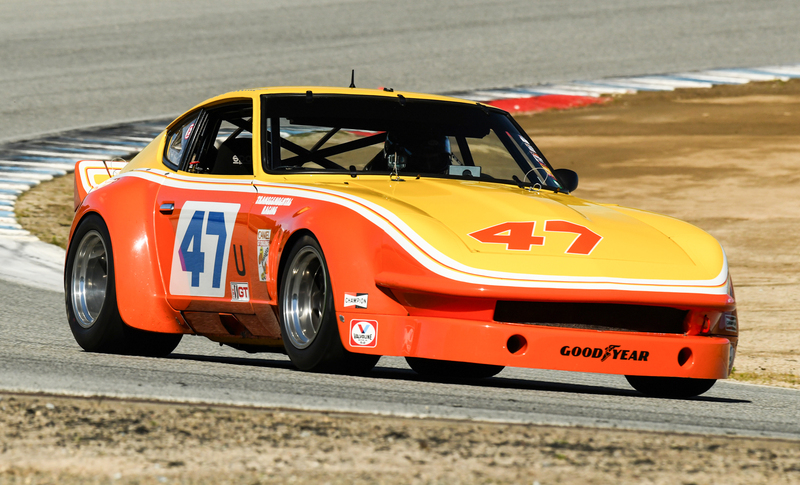 The Frisselle 240Z was considered one of the most advanced entries in the GTU class, and one of the most organized and detail-oriented in the paddock.In the day, this car was the most advanced and fastest GTU car racing in IMSA. 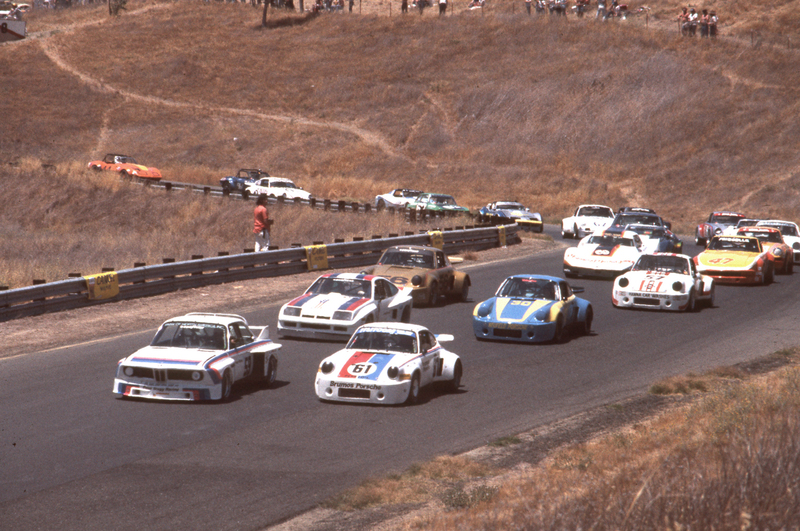 All lined up heading for the green flag for the July 1976 IMSA race at Sears Point. 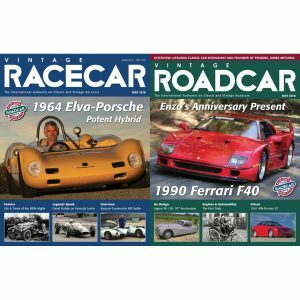 Frisselle (47) qualified well and sits on the second row behind the Porsche of Monte Shelton (57). Then 28-years old, Frisselle decided to sell the Z and move to a new, faster class of car.The Z found a new home andFrisselle moved on,but it wouldn’t be the last time he would see the car.